Whether you’re an elderly patient that is finding it hard to get around due to musculoskeletal problems, or you’re a sportsperson that has had an injury on the field, Physio Wellbeing are here to help. Providing physio in Altrincham for many different types of injury or ailments is something that we do very well. Our fully trained and qualified competent staff are here to help with a range of issues such as recovery from road traffic accidents, personal maintenance, postural problems, Sports injuries and many more. 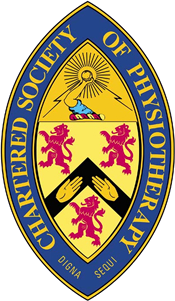 We pride ourselves on offering a complete service when it comes to looking for a physiotherapist in Altrincham and we are accessible easily whether you are arriving in a wheelchair or on foot. It’s important to us that you find our clinic calming, and a place where you feel that you are getting the very best treatments, so we have invested heavily in both our staff and our clinic to offer all of this to you. When visiting our Altrincham physio clinic, we hope you will be impressed with our services, our staff and the knowledge and training they have. We work hard to keep at the forefront of our industry, and are always looking into new treatments in new innovations in our field to make sure that you can benefit from our wealth of experience. If you’re interested in looking for a physiotherapist in Altrincham, then look no further. Simply fill in the contact form below, or give us a call to discuss your needs. We look forward to hearing from you.